I use an Xtracycle cargo for most of my bike commuting and errands. 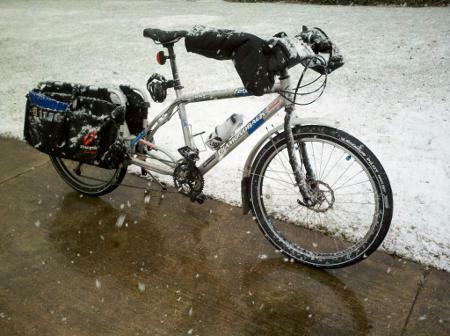 Last year, I experimented with using the Xtracycle attachment on an old hybrid bike frame that uses 700C wheels. The Xtracycle is designed for 26-inch wheels, but it can be made to work with 700C wheels. 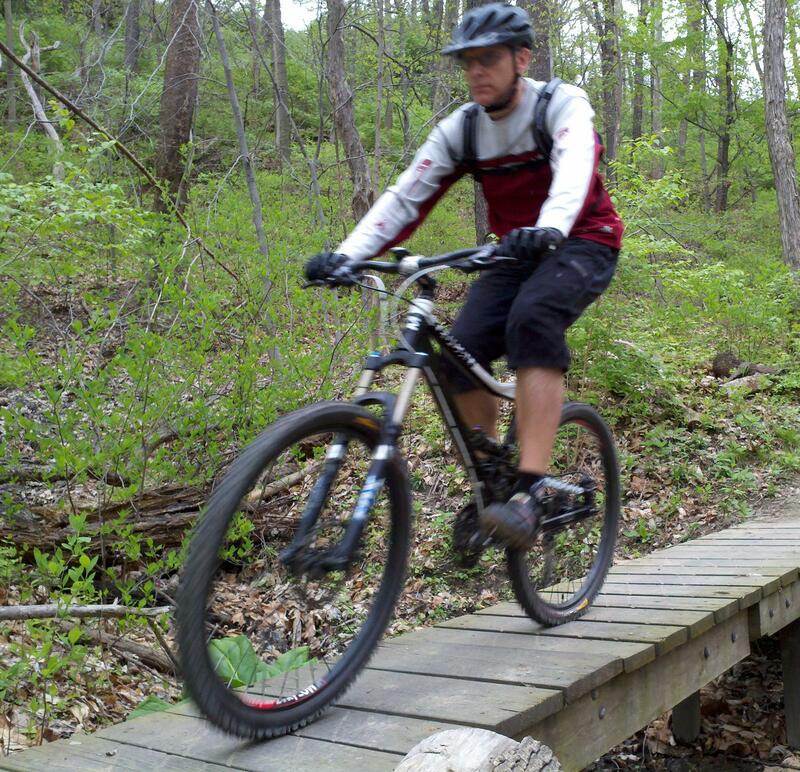 It won’t work with 29er tires. 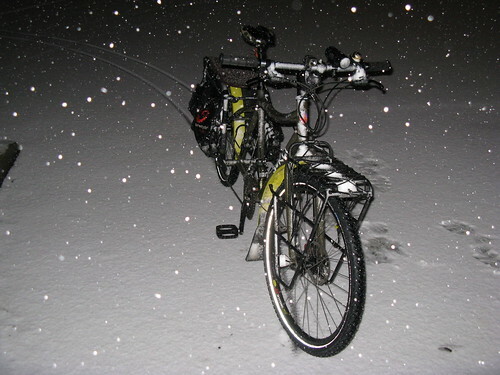 I ended up using a Schwalbe Marathon 700×32, and it worked well with just enough clearance within the Xtracycle frame. You can read more details about this setup in the post I did for it on my company’s blog. Something about a cargo bike, though, just demands the confidence-inspiring look and feel of a nice, fat tire. Earlier this year, I decided to put the Xtracycle back on my old Diamondback Zetec Comp mountain bike frame, and I set about looking for a pair of worthy tires. My first thought was the Schwalbe Big Apple 26×2.35, but I came across the Michelin Pilot Sport 26×2.3, and decided to give them a try instead. The Michelin Pilot Sport is a bit of an anomaly in the bike part world–a 26-inch, extra-wide tire with a smooth tread and a lightweight folding bead. The advertised weight is 725 grams each. The actual weight is always more than what is advertised for bike parts; I did weight one of them to see how the actual weight stacked up, but all I recall at this point is that it was close enough to have nothing to complain about. The tires mounted easily to my rims. 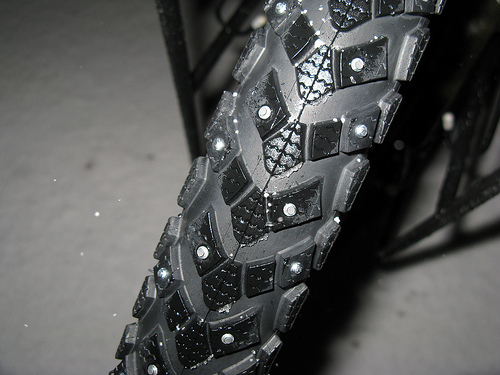 The tread is reinforced with Protek HD for durability and puncture-resistance, but I have to confess that I am “cheating” a bit by using thorn-resistant tubes, which probably negates the light weight benefit of the tires. 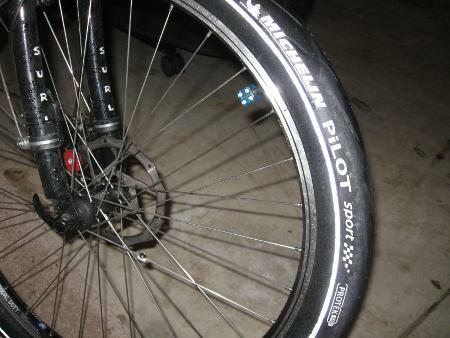 I don’t tend to have a lot of problems with flats (knock wood), but I’ve had one flat on the rear tire of my Xtracycle in the past, and it’s a real pain to deal with, so I figured it’s worth the extra weight to minimize this possibility in the future. The Michelin Pilot Sport tires didn’t disappoint me with the stout look and feel that I was hoping for. They’ll take up to 58psi, which doesn’t sound like a lot for a tire meant for pavement, but the smooth tread combined with the high air volume provides just the right balance of zippyness and cushion that you want in a utility bike. The tread is quiet and doesn’t feel like it’s dragging you down. The grip is excellent; even with a load of groceries, I feel like I can lean into corners with confidence. 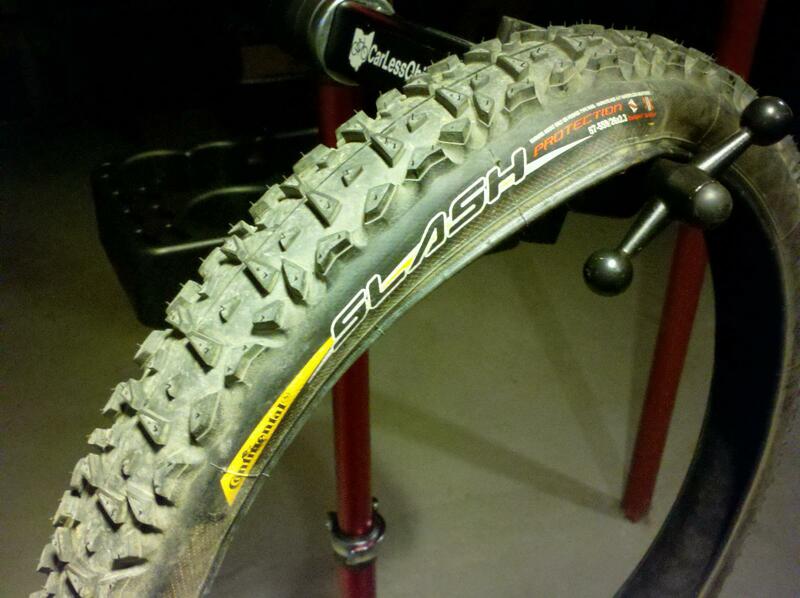 There is a reflective stripe on the sidewalls for a little extra safety. I’ve been using the Michelin Pilot Sport 26×2.3 tires for about a month now in the wide range of conditions that Northeast Ohio weather has blessed us with–dry, rain, snow; mostly on pavement, but occasionally on gravel and dirt trails. 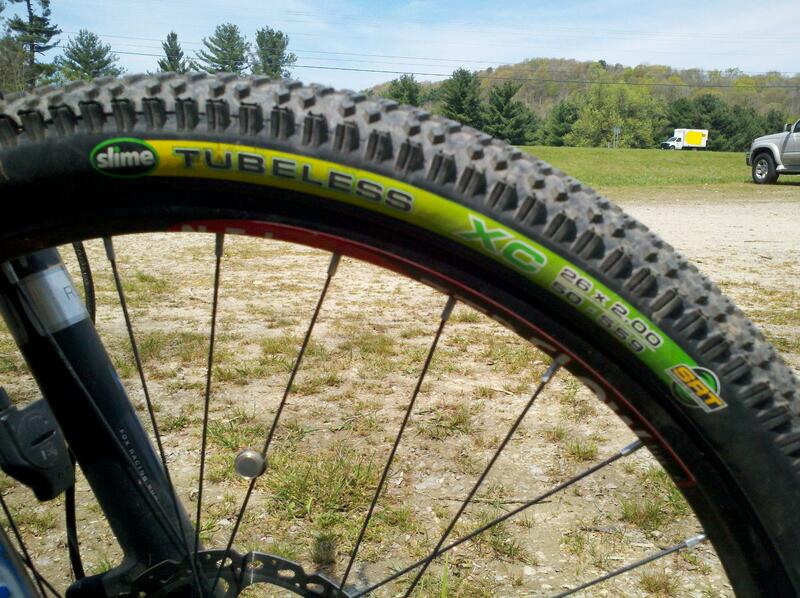 I highly recommend them for anyone looking for a fat, comfortable, yet efficient tire. If you don’t have a cargo bike, they’d be excellent for converting an old mountain bike into a commuter bike, or as replacement tires on an old beach cruiser. The suggested retail price of the Michelin Pilot Sport 26×2.3 tire is $49.99. It’s not an item you’re likely to find in stock at most bike shops, but ask if they can special-order them for you. 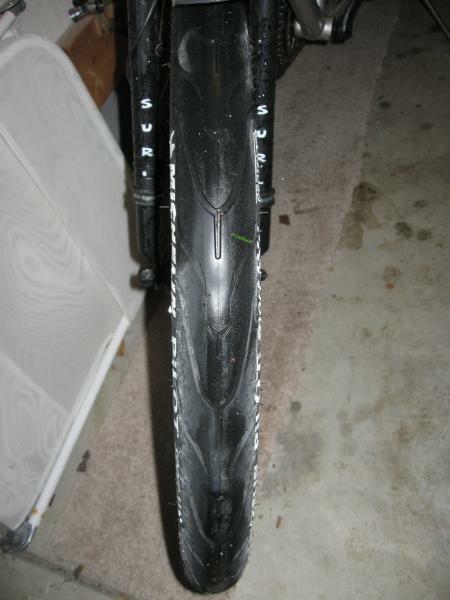 If you’re looking for something similar at a more economical price, try the Serfas Drifter 26×2.0 tires for about $32 each–they are what I used on this bike previously, with great success.